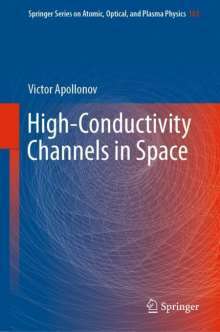 Der Artikel Victor Apollonov: High-Conductivity Channels in Space wurde in den Warenkorb gelegt. 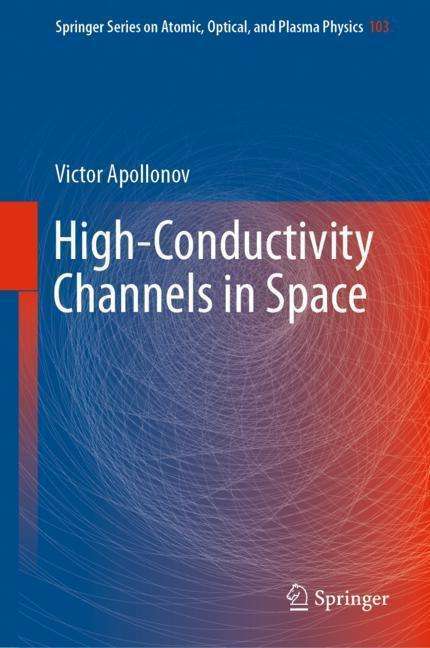 This book discusses the physics of conductive channel development in space, air and vacuums and summarizes the attempts to create super-long conductive channels to study the upper atmosphere and to complete specific tasks related to energy transmission from the space to earth with high-voltage high repetition rate electrical sources. Conductive channels are produced by the laser jet engine vehicle-propulsion under the influence of powerful high repetition rate pulse-periodic laser radiation by CO2-laser, solid state Nd YAG, HF/DF laser systems generated with each pulse of the powerful laser conductive dust plasma. The book also presents the experimental and theoretical results of conductive canal modeling: the laser jet engine vehicle "Impulsar", which can reach the lower layers of the ionosphere in several hundred seconds. Further, the book explores the development of lightning protection systems. The so-called long laser spark is generated to provide the conditions for connecting a thunderstorm cloud with a grounded metal rod, i. e. a classical lightning rod. Such conductivity channels can be used for energy transmission, overvoltage protection systems, transport of charged particle beams and plasma antennas. It provides the theoretical and experimental basis of high repetition rate P-P mode of operation for high power lasers (COIL, HF/DF, CO2, Nd YAG). It describes high efficiency and excellent beam quality disk lasers used for numerous applications, including surface treatment of dielectric materials in microelectronics, cutting, drilling, welding, polishing and cleaning of the surface and other technological operations. Lastly it investigates how megawatt mono-module disk lasers could be used to solve various problems: small satellites launched by lasers, formation of super-long conducting channels in space and atmosphere, cleaning of the near-earth space from the space debris and related applications.